Dr Satbinder Kaur Bhogal is a highly experienced Clinical Psychologist who has worked in the field of mental health since 2000. Dr Bhogal has worked in community and both secure and open hospital settings with children and adults who have presented with complex mental health difficulties and emotional distress. These have ranged from depression, anxiety, low self-esteem and relational problems to psychosis, self-harming and suicidal behaviour and personality disorder. found Dr Bhogal's counselling skills to be really excellent. I was always struck how fully aware Dr Bhogal was of my personal circumstances and how she applied this in a very personalised way to my own situation and treatment. I felt able to speak about everything openly and greatly benefitted from her professional skills and insight. She has helped me to explore aspects of my life and values and this is helping me to make significant life choices at a difficult time. Overall I would say I found Dr Bhogal's professionalism, experience, insight and support extremely helpful and valuable to me. I would have no hesitation in recommending Dr Bhogal to anyone. Dr Bhogal has special interests in working with people with complex and enduring difficulties, such as personality disorder and trauma and is trained in specialist therapeutic approaches in these areas. Dr Bhogal has trained further in the area of attachment and trauma difficulties across the lifespan and uses attachment theory as the foundation of her work. In addition to her clinical work Dr Bhogal has provided training and consultation to many private, NHS and local authority organizations on topics around mental health. She is also an honorary tutor at the University of Birmingham. 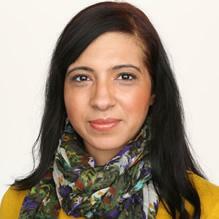 You don't need a GP referral to see Dr Satbinder Kaur Bhogal.